3ARIES: It's the month of confirmations. 4TAURUS: It's time to rebuild. 5GEMINI: It's time for conclusions. 8VIRGO: Be master of yourself. 9LIBRA: The awakening of inner power. 11SAGITTARIUS: Here comes the passion. 14PISCES: It is important to lay roots. ARIES: It’s the month of confirmations. 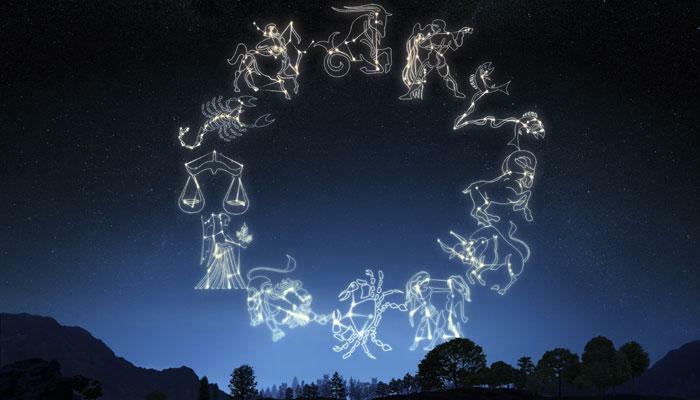 A month during which, because of the effect of the mercury retrograde in Taurus, which later will return for a few days in your sign too, you will want to review and address some hanging issues. The area in which you will play your own personal battle, is that of the relationships; I think therefore it is in this area where the main issues will manifest. You will ask for greater security from your partners, more responsibilities and physical presence if you are female; if you are men, however, you feel the need to show your value in a stable form, strong and determined, free from limiting conditioning. TAURUS: It’s time to rebuild. During this month you can decide to fix something inside your house, to renovate a part or change the decor, if not the house. The costs for the house, new contracts, new knowledge, everything lives a beginning, everything is rebuilt where you have previously destroyed. A time to be monitored will certainly be between 21 and 30 April, during which you might get carried away by expenditure without sufficient coverage. This is also part of the rehabilitation you face. GEMINI: It’s time for conclusions. Before embarking on a long journey, it is a good practice to check if you have closed the gas, if the water valve is closed, if the lights are off in different rooms, if the windows are tightly sealed to prevent penetration of foreign indoors. The month of April allows you to do this, to take all important outstanding issues, and to close them permanently so they do not negatively impact the new things that are about to begin. Whether it is relationships, or professional situations and lifestyles, the sky allows you to accommodate all the suspending because it is about to begin a new journey. You and only you know the truth and there is no need to explain to anyone. Trust what you feel is best for you and believe that you can get it. The Universe will find a way to get you what you asked for. The important thing is to stay centered on your personal ideals and principles that will inspire your new life. The relationships are experiencing a moment of verification: just who really counts. Leave all the rest go to their own destiny. There are always moments when doubts arise, when the mind plants fear in the heart; it is important that this is done because otherwise you would not be able to make the best decisions. In this month, thanks to the Quadrature of Mars in Taurus, the need to have chosen well enough not to have any regrets, is something to consider. Then you will begin to ask yourselves important questions that will give one clear answer: yes! I’m on the right way. Your year mission is to find and live the freedom, always remember that. VIRGO: Be master of yourself. In this month you will regain responsibility for your life, changing mental attitudes that restrict you instead of helping the expansion. It’s not that you haven’t been so far, but you have closed your heart for so long, that you transformed into too rational and thus limited people. Sometimes it is enough to change the point of perspective to transform our lives. Just put a filter or change a simple habit, and in just a few days, it will change all the daily reality. LIBRA: The awakening of inner power. The new vision of life that you now possess, will accompany the change allowing the discovery of a new “faith”, which takes into account the personal aspects that are in tune with the divine part that you carry inside. Reconnecting with your divine though, makes wider your vision, thus allowing, to take the road that will lead to harmony within. I remind you that you are the more tense and anxious sign of all the zodiac! Looking for a way to unload the excess energy. With spring, it comes the regeneration, the metamorphosis, the change you’ve been waiting for and which projects you straight into another dimension, which allows you to structure your life according to new parameters. Destroy so, all the schemes that do not allow you to live life fully, creating new rules to improve it. Who will follow you, will have to accept your conditions, otherwise they’ll get nothing. You are no longer willing to undergo limiting external conditions. SAGITTARIUS: Here comes the passion. News especially in relational context: someone might fall in love and even decide for a coexistence project. It will awaken the passion and you will have a great desire to live and start again, this time looking for things, people and situations that really will reciprocate with love your are looking for. Great creativity, even organic, that someone will discover the role of father or mother. It’s a period, that makes you aware of your immense inner power. You want to feel good? Do things that produce this effect and you will get well-being. The main innovation of this period, affecting the business sector. Possible professional layoffs, fewer hours of work, or it could be yourself deciding to limit the time to work, dedicating more to your passions. For this reason, April could present as a restless period just because you feel the need to get away, but making it difficult to let go of “old habits”. At last the winter ice that isolates your heart is melting due to the heat of passion and love. Both in the report but also in the actions that are performed on a daily basis, this emotional transport will now be the driving engine, the main source of your future success. For singles promises a strong passion and falling in love, while for couples already formed, could reach the decision to have children. All others will find the passion of their lives, which is merely a hobby or activity. PISCES: It is important to lay roots. A renewed energy will take you to seek radicalization, understanding the value of family roots, the importance of your origins. Without roots you cannot fly stated Bert Hellinger, without anchors you get lost in the wandering worlds, risking to stop in a middle ground. If you do not have roots, in life you are likely to get lost, which is sometimes also good for charity, but often it is likely to become dangerous to ourselfves and others. The source of this realization is not in ambition, but is in its stability.